BCG Matrix – BCG Matrix Analysis – Bcg Matrix Framework – Bcg Matrix Business Methodology – Bcg Matrix model categorizes companies and products by the type of market they are in. Matrix has four quadrants divided by the market growth and market share on each of the axis. 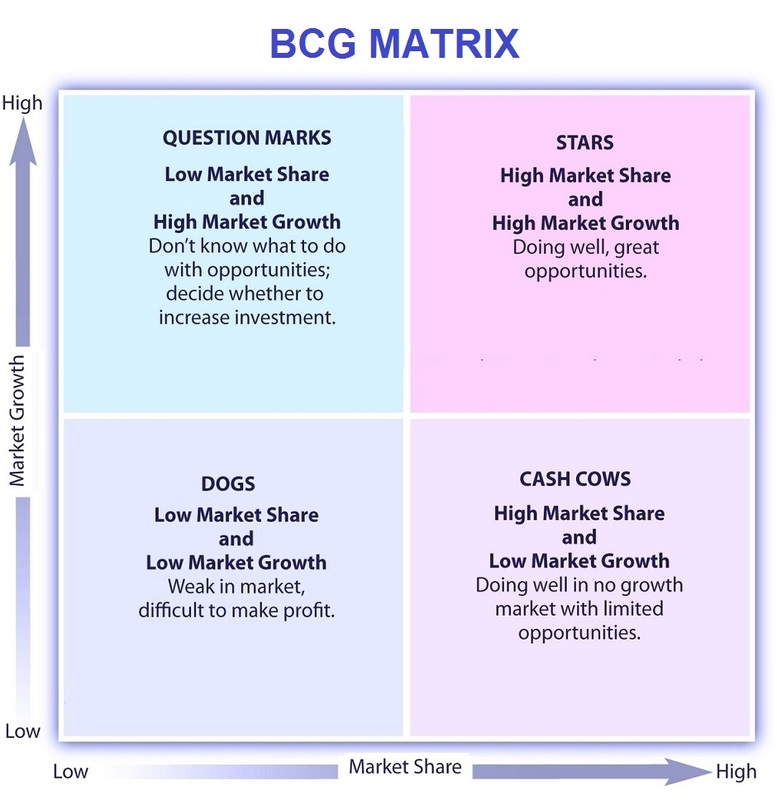 Each of the quadrants in the bcg matrix represents a certain market position and is depicted by a symbol a star, which stands for high growth, high market share; the cow (also known as a cash cow) stands for high market share and low growth, a dog for low market share and low growth and a questin mark, which represents high growth but low market share. BCG Matrix developed by the BCG consulting company is one of the top business frameworks. Below sample images are examples of bcg matrix used in business management.